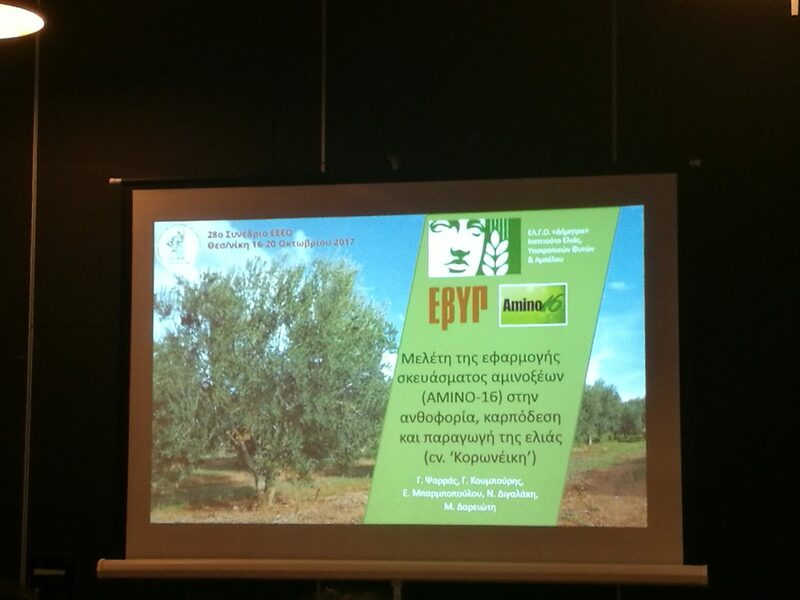 The excellent results of the use of AMINO 16, increase in the production of olive trees by 10.4% and total production of olive oil by 18% were presented at the Arboriculture session by Mr. Psarras PhD of the Institute of Olive, Subtropical Plants and Vine of Chania. 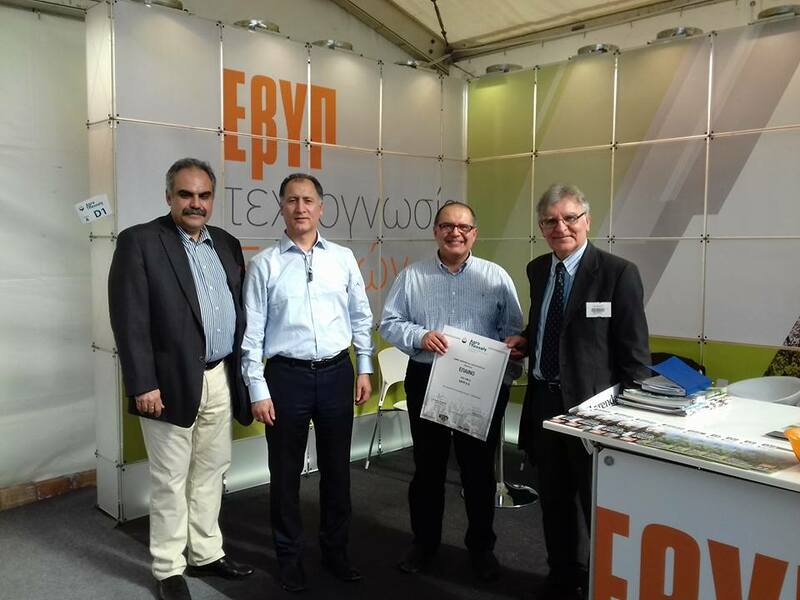 Research Title “Study of the application of amino-acid formulations (Amine-16®) to the flowering, fruit production and production of the olive tree (Koroneiki)”. 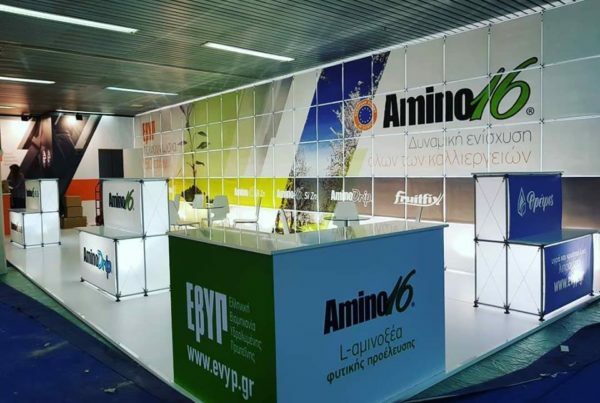 The highly beneficial effect of the use of AMINO 16 on the qualities of the essential oil of Mint and Spearmint, was presented at the session of the Horticulture by Mrs. Aktsoglou on the basis of her postgraduate dissertation “The effect of the addition of amino acid solution (AMINO-16®) Mentha × piperita Sm. and Mentha spicata L.). 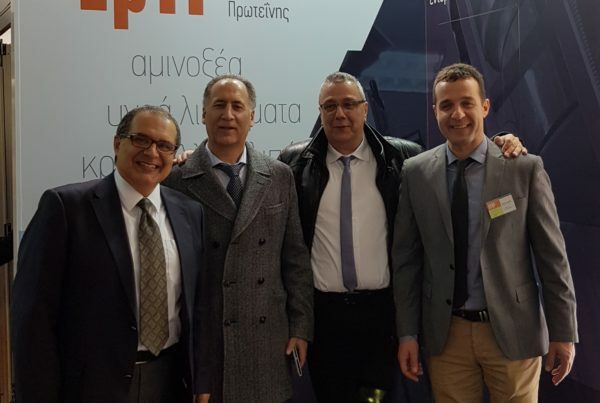 EVYP LLP official sponsor of the Conference, held from 16 to 20 October 2017 in Thessaloniki, welcomes his highly successful event, which was endorsed by the great scientific community and professionals in the industry.